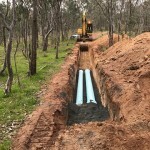 This project was completed on behalf of the Albury City Council. 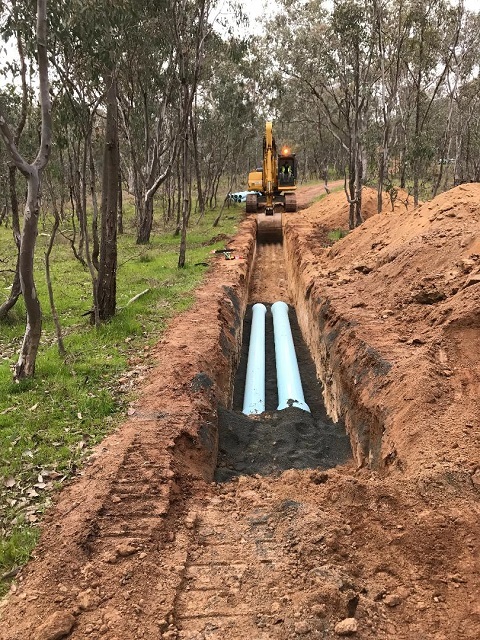 The project involved the installation of 8km of pipework ranging from 450mm and 300mm DICL pipe, 300mm, 250mm and 200mm PVC pipe. There was multiple HDD bores and sleeved bores using mild steel pipe. Parts of the project were constructed through rock and sensitive vegetation areas. This entry was posted in Water reticulation. Bookmark the permalink.